Chinese President Xi Jinping told a joint news conference with German Chancellor Angela Merkel that Beijing will not interfere nor pressure Moscow in the ongoing crisis in Crimea and Ukraine. “China does not have any private interests in the Ukraine question. All parties involved should work for a political and diplomatic solution to the conflict,” he told reporters during his first state visit to Berlin on Friday. Xi had earlier in the month told Merkel that as the current situation in Ukraine is “very complicated and highly sensitive, various factors should be taken into consideration in the handling of the crisis”. Beijing is urging all sides to seek a political solution through dialogue and negotiations within the framework of international law, so as to avoid further escalation of the situation. Russian allies China and India have called for calm and restraint on all sides on the crisis. New Delhi has said Moscow has “legitimate” interests in Ukraine and they should be discussed to find a satisfactory solution to the issue. He added that Beijing respected the principles of international relations and non-interference in other states. 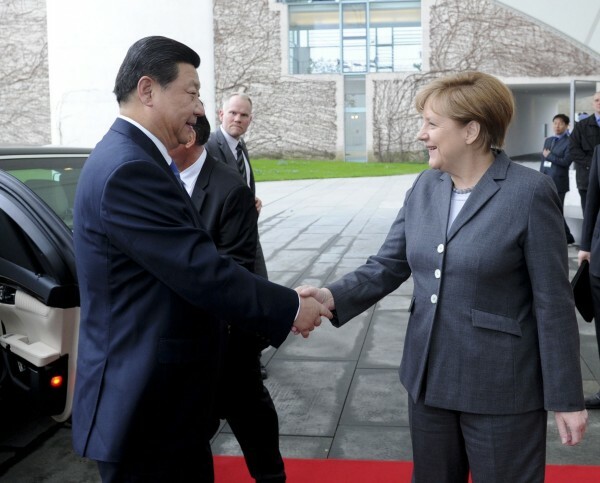 Meanwhile, Xi and Merkel also held talks on the Korean Peninsula, security in Asia, and economic cooperation. The two leaders presided over the signing of a number of bilateral agreements, including a declaration of intent between the Bundesbank and the People’s Bank of China allowing yuan clearing and settlement in Germany’s financial hub Frankfurt.